I have never served in our nation's military. My father served in the Navy during the Korean War but completed his service long before I was born. He never spoke about his experiences. I never asked. It was just not on my radar. I became aware of the struggles veterans face as they try to integrate back into civilian life after watching the PBS documentary, Coming Back. In the three part series, best-selling author and Army combat veteran, Wes Moore, followed American soldiers as they returned from war and attempted to establish their new identities as civilians. Like many people I assumed that, after a warrior returned home from war, time and government-funded programs through the Veteran's Administration were sufficient to support them during the transition. I couldn't have been more wrong. Touching and often difficult to watch, Moore's documentary revealed the struggles combat veterans face daily. Veterans who served during the Iraqi War and Afghanistan Conflict suffer from Post-Traumatic Stress Syndrome (PTSD) more than any other war/conflict in history. Severe anxiety, flashbacks, sleep disorders, and feeling disconnected from friends and family are just a few of the common effects of PTSD. To watch the day-to-day impact on the lives of these soldiers was saddening and sobering. 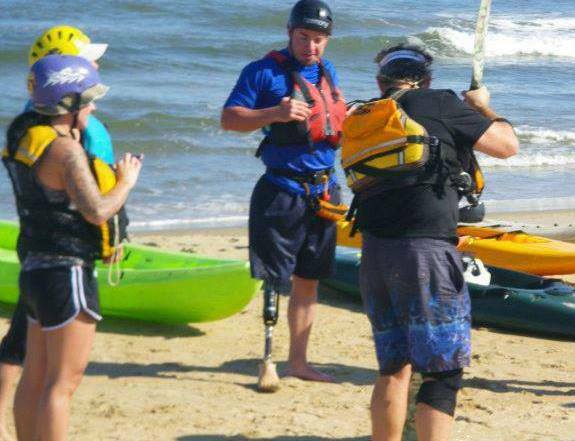 The Wounded Warrior Project is dedicated to supporting veterans and their families. They have served a large number of warriors but there are smaller organizations doing incredible work, as well. The following two such organizations, Warrior Hike and Team River Runner, impressed me so much I believed that I, too, could make a difference in the lives of returning warriors. Warrior Hike: "Walk Off The War"
Shortly after being assigned to active duty as a tank officer, Marine Captain Sean Gobin joined U.S. forces who ousted Saddam Hussein and later fought in the bloody Battle of Fallujah. After two deployments to Iraq and one to Afghanistan, Gobin left the Marines in 2012 to begin civilian life. Before starting graduate school, he fulfilled a long-time dream of thru-hiking the Appalachian Trail. Gobin found the solitude and peacefulness of hiking eight hours a day an effective way to process his wartime experiences. Descending from the summit at Mt. Katahdin, he committed to offering the same healing process to his fellow warriors and founded the non-profit organization, Warrior Hike. 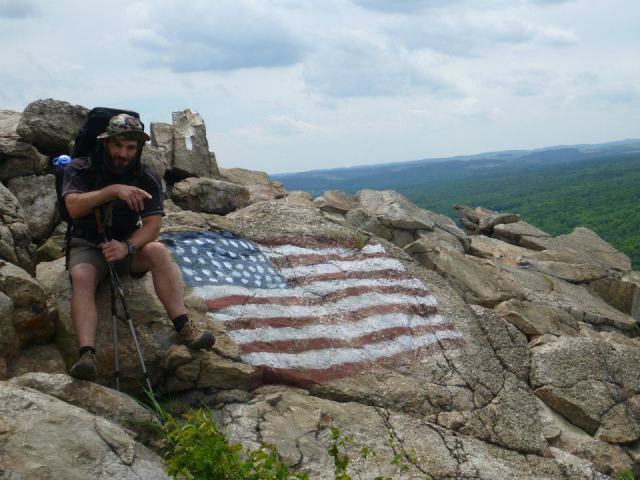 Each hiking season, groups of veterans from all wars/conflicts tackle the Appalachian Trail, The Pacific Crest Trail, and the Continental Divide Trail. Warrior hikers are supplied with the physical and emotional support they need to endure the challenge including opportunities to socialize with other vets at local VFW (Veterans of Foreign Wars) posts along the way. The 2014 hiking season is just now coming to a close. 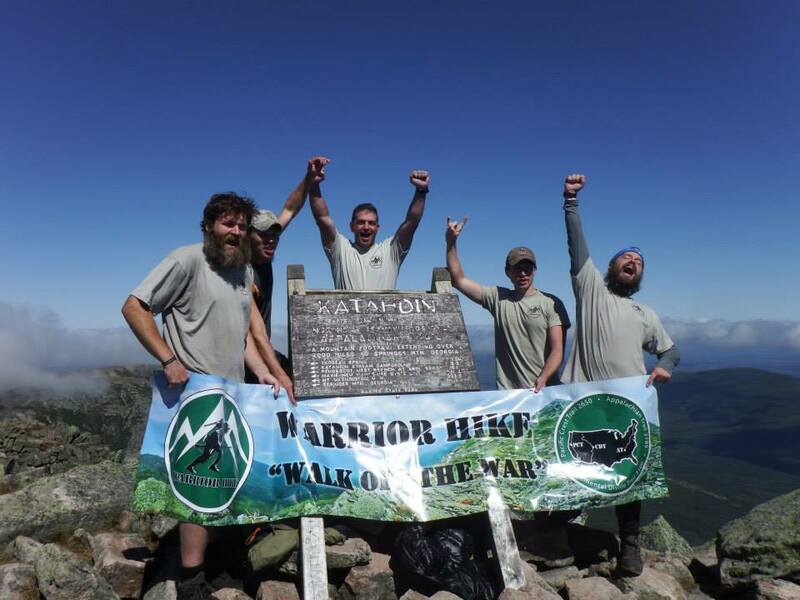 Follow Warrior Hike on Facebook for updates and photos of the warrior's incredible journey. Avid kayaker and Navy veteran, Chuck Conley, is the Virginia Beach Chapter Coordinator for Team River Runner which offers kayak, canoe, and outrigger canoe lessons and competitive opportunities to healing veterans. Conley is also the coach for National Paralympic Sprint Champion and 200-meter record holder, Nick Miller, a Marine veteran who lost his leg in a motorcycle accident. Conley has seen anxious and uptight warriors become relaxed and active participants in Team River Runner's training sessions and competitions which gives them socialization opportunities in which they might not otherwise engage. The supportive environment of being in the company of those who have been through similar experiences gives them a place of comfort and belonging. Inspired by these three outstanding men, I asked myself "What can I do to help?" In my "day job" as a massage therapist, I see the healing effects of therapeutic touch for clients dealing with depression and anxiety on a regular basis so I enrolled in a Massage for PTSD course and became certified. Recently, a combat veteran came across my website and made an appointment for his first ever massage. Frustrated with the determinations of the medical community that his pain was "all in his head" and recommendations he begin anti-psychotic medication, he came to my office angry and dubious. During the difficult ninety-minute session, he experienced an anxiety attack, several angry outbursts, had flashbacks of screaming, and questioned my abilities as a therapist. I was sure I would never hear from him again. The next morning, I received an email from him saying his pain had been greatly reduced much to his surprise and he requested another appointment. I hesitated momentarily as I was unsure I could take another onslaught of his anger but resigned to follow through my commitment to help. The veteran arrived for his next appointment thankful and relaxed. Although it was painful for him, he allowed me to do the work I needed to do to provide him relief. Afterwards, he sat quietly on the table and said "I feel peaceful here. You listen to me and respect my words even though I know they are difficult for you to hear. Thank you." It was the most fulfilling moment I have experienced in my career. We all have gifts to offer our healing warriors. Whether it's a kind word or a service like Warrior Hike and Team River Runner, every effort counts. Our warriors need our help.